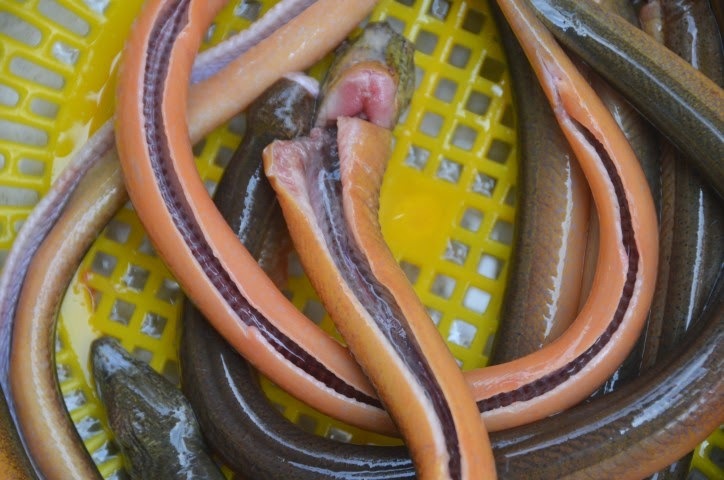 However you purchase your eels, chances are they are not totally cleaned. 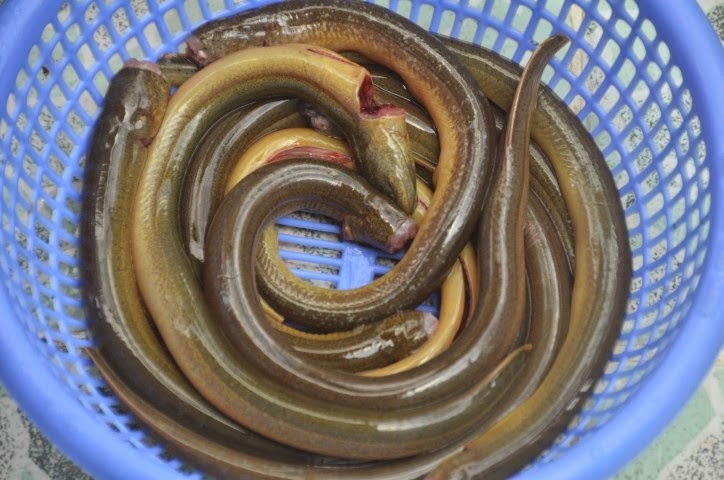 Eels are easy to clean and all you need is a little time and effort. I would recommend you clean these well before eating since these have a lot of slime and odor if they are not properly prepared. After bringing these home I scrape the entire body well with a knife and remove any belly contents. I then massage each one (inside and outside) with about 1-2 cups of vinegar until all the slime is completely gone. I rinse all of them several times with clean water. After this I cut along slightly into both sides of the spine to fillet it. I keep the backbone in. 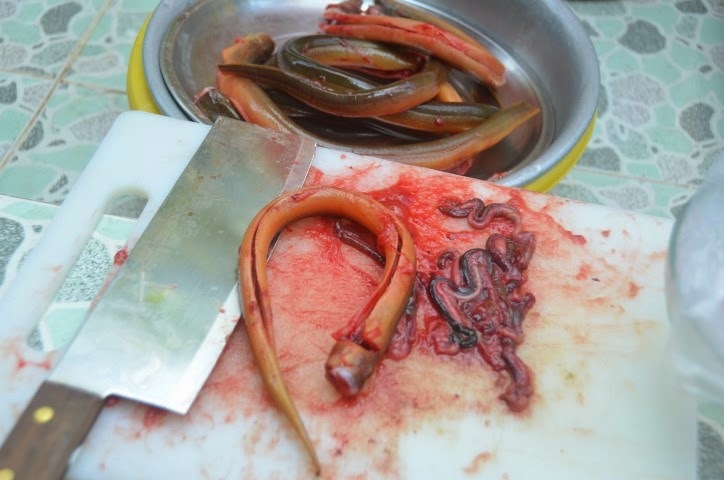 These eels have one long spinal bone and this can easily be removed during eating. 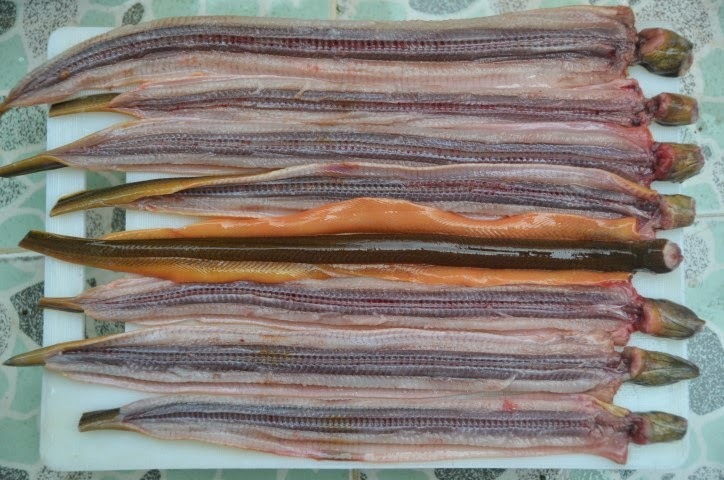 For some dishes you may want to keep the eel whole or cut in 6 inch strips. 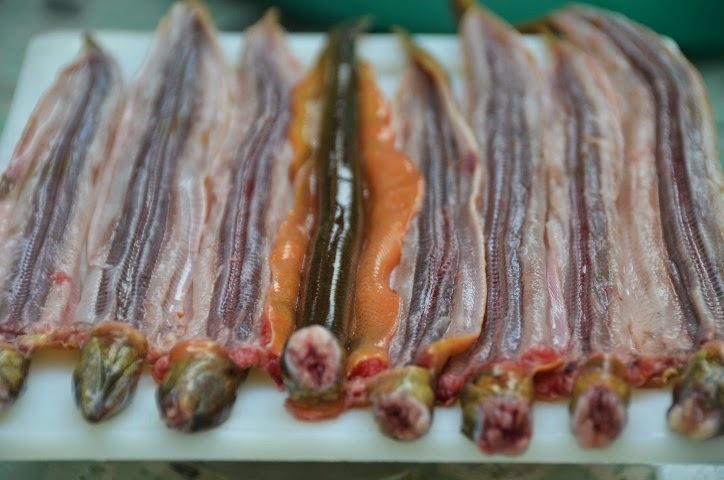 For other dishes you may want to cut it into rings.